Dental implants are composed of three main parts: an implant post, an abutment, and a dental crown. Together, these replace the root and crown of a tooth. With the implant post surgically implanted into the jawbone, you gain a sturdy and permanent solution to replace a missing tooth. This also allows for a 95% success rate, which is why more than 500,000 dental implants are placed each year. With the implant post securely in place, the abutment attaches the dental restoration to the implant post. After the procedure is complete, you have the only tooth replacement option that most closely mimics the appearance and function of natural teeth. What are the Oral Health Benefits of Dental Implants? Each tooth plays an important role in oral health and functions. When even one tooth is lost, your oral health is placed at risk. The loss of a tooth causes the underlying bone to lose density. Over time, the decreased support causes the remaining natural teeth to shift. As they become misaligned, this increases your risk for tooth decay and gum disease. Eventually, more teeth will begin to fall out. Although other forms of tooth replacement, like a dental bridge and crowns, offer support to the natural teeth, dental implants are the only option that stops bone loss. The titanium post that is surgically inserted into the jawbone stimulates the bone. This helps to promote bone density to protect your remaining natural teeth and facial structures. In addition, tooth loss often causes nutritional deficiencies as your diet can become limited. Even with tooth replacement options like dentures, there are still some foods you may not be able to eat. However, since the jawbone fuses to the biocompatible post, you gain an increased biting force of over 70% when compared to other options. As a result, you can maintain a proper diet to protect your oral and overall health. If you are ready to regain a complete smile while promoting your dental health, Horsham Dental Elements offers the solutions you need. Dr. Henkel is specially trained in implant dentistry to promote the long-term success of the procedure. 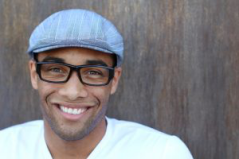 You benefit from high-quality results for a flawless smile while restoring dental health. Contact our office today to schedule your consultation for dental implants in Philadelphia.